The Gum’s farm has mainly been based around cereal cropping since the late seventies. In the last two decades the combination of challenging years, changes in ownership of lease and share farming land, rising input costs and the uncertainty in the future climate, has the business refocusing its future goals. Increasing the numbers of sheep while decreasing the area dedicated to crop is seen as a strategy that will provide a more reliable return (albeit lower in good times). In doing so the business needs to improve and alter the infrastructure, to effectively run 20-30% more ewes. One area of particular importance is a reliable water system. A key factor being the ability to handle the demands placed on it during the summer period. The property has no natural permanent surface water and experinces high evaporation rates. The main source of water currently is from 5 bores; however they struggle with supply under high usage and a couple of them have salinity levels not suitable for younger and lactating stock. Salinity levels in the water ranges from 3,500-8,200 parts per million, and is becoming more salty. 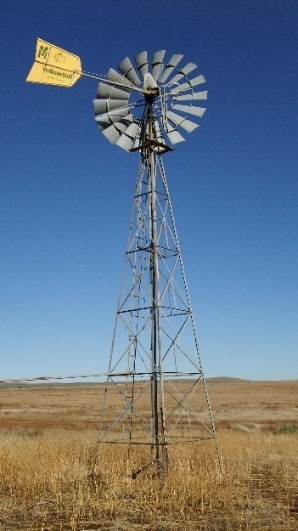 Currently there are two methods of pumping underground water on the property, windmills and solar pumps. The windmills need to be monitored and repairs are expensive. Whilst there are 5 gully dams on the property that are used mainly for erosion control as they tend not to be a reliable stock water source. “Sheeted catchments seem to tick most boxes in regards to ensuring an adequate supply that is of good quality. Location of the sheeted catchment area is flexible, which enables us to choose a suitable elevated site that can supply a major portion of our home block with gravity fed water” said Trevor. The design for Hillside is an eighty metre by thirty metre area, on a rise, which will be cleared and shaped so that water which falls on it will be directed to a central point to a collection pipe. A 1.5 mm Poly liner will be used over the area. The 150 mm collection pipe will take water to two 250,000 litre corrugated iron tanks. As the tanks will be sited on a hill the water can be gravity fed across the property. The proposed catchment area will capture 2,400 litres per sq. metre per mm of rainfall. Therefore it has the potential to capture 720,000 litres (assuming an average rainfall of 300 mm). It is expected the catchment will provide 60% of the properties requirements. Water suitable for use in and around the home and farm yard like spray water, garden supply etc. Less calcium build up on trough float valves, pipe lines, toilet cisterns etc.